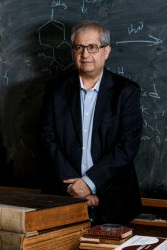 Dr. Mansour Samadpour received his B.S., M.S., and Ph.D. degrees from the University of Washington. After completing his Ph.D and post-doctoral studies, Dr. Samadpour became an Assistant Professor in the Department of Environmental Health at the University of Washington. In 2001, together with Dalia Alfi, he started the Institute for Environmental Health (IEH) Laboratories and Consulting Group. 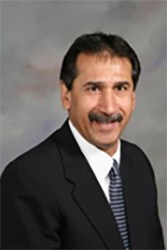 Dr. Samadpour is an expert in the epidemiology and pathogenesis of foodborne and waterborne pathogens, the transport of microbes in the environment and food production systems, molecular epidemiology, and the design and implementation of proactive food safety systems. As the head of our research and development team at IEH, a senior author on over 75 peer-reviewed scientific publications, and the inventor of over 30 patents, Dr. Samadpour continues to push the field of food safety forward. He has played a leading role in developing pathogen detection programs for food safety management and has been sought out for his expertise in most of the major U.S. outbreaks over the last three decades. Dr. Donald Zink leads the food safety and food processing consulting group at IEH. He received his Ph.D. in Biochemistry and Biophysics and his M.S. in Microbiology from Texas A&M University, and his B.S. from Abilene Christian University. Prior to working at IEH, Dr. Zink worked for the U.S. FDA as the Chief Scientist for Food Safety and Applied Nutrition. At IEH, he is focused on helping clients avoid food contamination from bacterial pathogens. Dr. Zink assists clients with broader issues related to food safety such as: process validation, allergen control, and chemical contamination. He is an expert in the microbiological and chemical safety of processed foods and fresh produce. He has extensive experience on low acid canned food thermal processing, aseptic processing, ice cream production, chocolate and confectionery products, infant formula production, beverage production, fermented and acidified foods, frozen and refrigerated food production, and baked goods production. John Larkin has served as the IEH Vice President of Food Process Engineering & Food Defense since 2017. Dr. Larkin earned his dual Ph.D. in Agricultural Engineering and Food Science & Technology from Michigan State University, his M.S. in Food Science and Nutrition from Ohio State University, and his B.S. in Food Science and Nutrition from Ohio State University. After receiving a dual Ph.D., Larkin worked as an Assistant Professor in Food Engineering at Virginia Tech before joining the Food and Drug Administration (FDA). During the course of his 27-year tenure with the FDA, John was intimately involved in conducting research pertaining to shelf-stable and extended shelf-life foods. John’s areas of expertise include knowledge of the Food and Drug Administration food safety regulatory requirements, process control software validation, microbial destruction kinetics, process validation for various products, including: canned and aseptically processed foods, pasteurized eggs, milk, nuts, and apples. John has a strong understanding of many processing technologies used to treat and extend the shelf-life of food including: thermal treatments, high pressure processing, ozone, propylene oxide, pulsed electric field, and others. Dr. Larkin enjoys employing his lifelong enthusiasm for research and working with people to find solutions to difficult situations and problems. 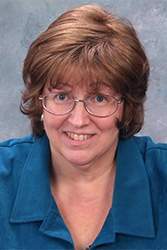 Margaret Hardin joined IEH as the Vice President of Technical Services for IEH in 2010. Dr. Hardin's expertise is in food safety, food shelf-life, sanitation, sanitary design, food microbiology, process control, process validation, environmental testing, and HACCP. Dr. Hardin earned her Ph.D. in Food Microbiology from Texas A&M, her M.S. in Meat Science & Food Microbiology from the University of Georgia, her B.S. in Agricultural Education from North Carolina State University, and her B.S. in Animal Science- Meats from the University of Florida. 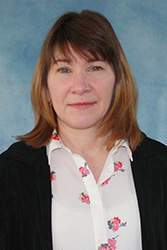 Before joining IEH, Margaret was an Associate Professor in Food Microbiology at Texas A&M University, where she taught courses in Food Microbiology and HACCP, and developed and taught a class in Applied Microbiology, Sanitation and Sanitary Design. Prior to her career in academia she was employed for over 13 years in various positions in the meat industry, including Director of Food Safety with Sara Lee Foods, Director of Food Safety with Smithfield, and Director of Food Safety and Quality Assurance with Boar’s Head. She also worked as Director of Pork Safety with the National Pork Producers Council and as a research scientist and HACCP instructor with the National Food Processors Association. Dr. Koohmaraie joined IEH as the Chief Executive Officer of the Meat Division in 2008. He received his Ph.D. in Meat Science and Muscular Biology from Oregon State University, his M.S. in Meat Science from Texas A&M at Kingsville, and his B.S. in Animal Science from Pahlavi University. Throughout his career, Dr. Koohmaraie has focused his research efforts on the biological mechanisms regulating meat tenderness. Starting with the E. coli O157:H7 outbreak in the Northwest, Dr. Koohmaraie has been heavily involved in leading and conducting research projects to help the meat industry eliminate E. coli O157:H7 from the red meat supply. After 24 years as a USDA scientist, Dr. Koohmaraie left the public sector to pursue his passion in the area of beef safety and quality in the private sector. Throughout his impressive career Dr. Koohmaraie has received numerous awards such as the Agricultural Research Service's Scientist of the Year Award in 1992 and 2001, the Agricultural Research Service's technology transfer awards in 2004 and 2008, and the USDA Secretary Award in 1995 and 2001. In 2012, Dr. Koohmaraie was inducted of the Meat Industry Hall of Fame. Dr. Koohmaraie has published over 400 scientific publications and has given over 300 invited talks to U.S. and International Organizations. Dr. Koohmaraie is an ISI Highly Cited Scientist. Will Daniels is president of the produce division at IEH, where he oversees lab and consulting services for the produce industry. Mr. Daniels received his B.S. in Nutrition Sciences from the California Polytechnic State University. 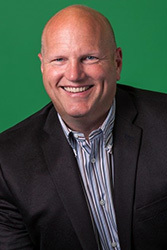 Prior to joining IEH, Daniels was President and CEO of Fresh Integrity Group, a consulting firm specializing in operations and food safety consulting for the fresh produce and perishables industries. Having leadership roles in both Quality Assurance and Operations, he helped the company grow from a small, regional salad producer to the nation’s largest grower, packer and shipper of organic produce. Mr. Daniels also worked as the Chief Food Integrity Officer at Earthbound Farms, where he was responsible for food safety, food quality and overseeing their organic integrity program. Mr. Daniels is a sought-after speaker and has addressed key food safety issues in the produce industry at meetings of the National Academy of Sciences, the National Restaurant Association, the Institute of Food Technologists, and the International Association for Food Protection. Dr. Sergio Sanchez is a chemist with 28 years of experience in the areas of laboratory analytical testing, product inspection and audits. Dr. Sanchez received his Ph.D. in Chemistry from the University of Puerto Rico. Prior to joining IEH, Dr. Sanchez launched and managed the global food safety business line for Inspectorate. His work included the design, installation, method development, accreditation, technical support and operational management of a global network of food testing laboratories and GFSI audit services. Dr. Sanchez also served as technical liaison to government agencies in charge of food safety regulations in Asia, Latin America, the European Union and the US, including active participation in the FDA’s Shrimp Pilot Program. Heidi Wederquist earned her M.S. in Animal Science and her B.S. in Food Science and Human Nutrition from Colorado State University. At IEH, she coordinates and works as a member of the Technical Services Consulting team, where she helps food companies to develop food safety and quality assurance programs as well as programs needed to meet food industry and regulatory requirements. Prior to joining IEH, Heidi worked for Chipotle as the Director of Food Safety & Quality Assurance. As a member of the Chipotle Supply Chain team, she helped oversee quality and food safety programs for purchased foods, including fresh and frozen produce, meats, prepared foods, bakery, oils and seasonings. While at Chipotle, she developed an online supply chain management system, whole-chain traceability programs, and a vendor performance tracking system. Dr. Jack Davis started at JLA in 2014. Dr. Davis received his Ph.D and M.S. in Food Science from North Carolina State University (NCSU) and his B.S. in Food Science from the University of Georgia. He has worked extensively on many aspects of pre-harvest and post-harvest peanut safety and quality. These include optimization of processing technologies and agronomic strategies to improve finished product quality, advanced nutritional analyses, oil stability, sensory analyses, aflatoxin mitigation, and byproduct utilization. Before joining JLA, Dr. Davis spent ten years with a dual appointment as a research scientist with the USDA Agricultural Research Service and as a faculty member at NCSU in the department of Food, Bioprocessing and Nutrition Sciences. 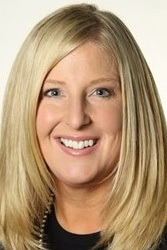 Cindy Ryan began her professional career at Nestle in 1994 as a Senior Microbiologist. Ms. Ryan earned her M.S. in Food Science and Food Microbiology and her B.S. in Animal Science and Industry from Kansas State University. During her eleven year stay with Nestlé, she moved from Senior Microbiologist to Quality Assurance Manager, and finally to Senior Microbiologist and Manager of HACCP Systems. Ms. Ryan was in charge of the plant hygiene, auditing, troubleshooting, managing the QA department, quality training, implementation of quality systems and pathogen monitoring across the U.S. and Canadian facilities. She also spearheaded troubleshooting and follow-up of problems involving packaging, processing quality and microbiological issues, as well as assisting Nestlé corporate. 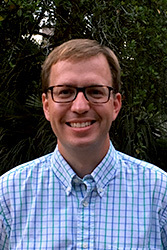 Prior to joining the IEH consulting team, Ryan spent 9 years as an independent consultant assisting food manufacturing facilities to define, organize, correct, implement, maintain and validate required QA and Food Safety programs including: HACCP, allergen control and pathogen monitoring. Ryan enjoys working on a variety of projects, like assisting manufacturers in the areas of HACCP and Food Safety Plans, pathogen monitoring and control and allergen control. Dr. Gene Bartholomew joined IEH as Vice President of Technical Services in 2019. He earned an M.S. and Ph.D. in microbiology from Cornell University and a B.S. in biology from Bucknell University. 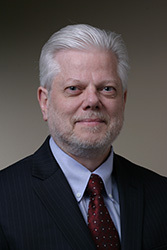 Dr. Bartholomew began his professional career at International Paper in 1983 as a research scientist. 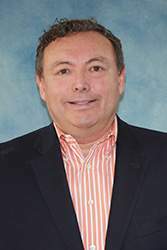 During his 15 years there, he commercialized and validated an aseptic packaging system, managed a beverage pilot plant and its laboratory, started taste panel testing for the company, and advanced to manage several product development groups. Dr. Bartholomew then joined Smithfield Foods Packaged Meats. He started in the John Morrell Group as the corporate director of food safety for 7 meat processing and slaughter facilities and 1 spice plant. He later took on the role of Senior Director of Corporate Food Safety, during which he was responsible for 14 meat processing plants and several FDA-regulated plants. Throughout his 20-year career at Smithfield, he led HACCP plan design and validation, thermal processing, regulatory compliance, sanitation, allergen control and environmental pathogen monitoring. He also managed a corporate microbiology laboratory and its accreditation, and has certifications in HACCP training, BRC and SQF schemes, and is a Preventive Controls Qualified Individual. Dr. Bartholomew was a founding member of the North American Meat Institute Listeria Control Workshop and has taught numerous courses to members of the food industry. Dr. Michael De La Zerda received his Ph.D., M.S., and B.S. in Animal Science from Texas A&M University. Dr. De La Zerda has extensive on-site experience at food production facilities. Examples of his on-site expertise include: broccoli, ready-to-eat, nut production, the processing of nuts, onions, sprouts, chocolate, bread, and fish. Each of these opportunities has provided numerous experiences in consulting, HACCP plan development and revision, personnel training, validation of process control and microbial interventions, and detailed regulatory activity assistance (Noncompliance Records, Notices of Intended Enforcement actions, Notices of Suspension and Verification Plans, and Humane Handling issues). Prior to joining IEH, Dr. De La Zerda was responsible for the direction and implementation of the food safety programs for a natural and organic meat company, where he oversaw multi-protein slaughter and ready-to-eat processing facilities across the United States. Dea Lievano Woolrich started at IEH in 2016 as the Associate Director of Technical Services. Ms. Woolrich earned her B.S. in Food Science from the Monterrey Institute of Technology and Higher Education. Dea has 20 years of experience in food processing facilities, where she worked multiple positions in the Production, R&D and Quality Assurance Departments. Ms. Woolrich has some dairy experience, and nearly 15 years of experience overseeing multi-facility operations with refrigerated and frozen prepared foods under FDA and USDA jurisdiction, where she developed Food Safety Systems and Programs from scratch -including multiple HACCP Plans- as well as established a team of 19 employees in the QA Department. Since joining IEH, she has focused on performing facility assessments, developing EMPs and pre-requisite programs, and training client employees on proper aseptic technique, basic cGMPs, Sanitation procedures, root cause analysis and corrective actions. She is fully bilingual in Spanish and very comfortable working in processing environments. Prior to IEH, Woolrich worked at Chipotle as the supplier-facing Quality Assurance Manager. At Chipotle, Woolrich was responsible for assessing new and current suppliers, enforcing company quality standards through continuous improvement programs working with vendors, Operations, Training and Supply Chain teams, investigating and resolving food quality issues by working with restaurants and suppliers, supporting the Crisis Management Team, as well as the Culinary Development Team by setting and documenting processing and quality standards for new and improved items. Woolrich is highly skilled at ensuring food quality standards, documentation, training, and operations. 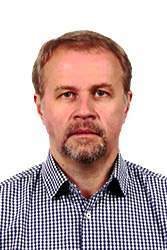 Rafal Knap is the Director of Aseptic and Thermal Processing at IEH. Mr. Knap earned his M.S. in Food Science and his B.S. in Microbiology from the University of British Columbia. Knap uses his extensive experience in microbiology, and conventional thermal and aseptic processing to design and manage complex validation projects of aseptic processing and packing equipment. In addition, he provides technical assistance to food producers in areas of thermal food processing (as a “Process Authority”) and food safety (low/high-acid foods, aseptic food products, food microbiology, risk assessment, GMPs, QC/QA issues and re-call assistance). Prior to working at IEH, Mr. Knap worked for the National Food Processors Association and the National Food Laboratory. His roles included providing consulting services to clients in the areas of thermal processing, food safety, new technologies and on issues pertaining to food microbiology, food safety, risk assessment, food processing equipment and process design. Dr. Seana Davidson leads the Special Projects and Validations Group at IEH. Dr. Davidson earned her doctorate degree in Marine Microbiology from UC San Diego, and a B.A. in biology from the University of Oregon. She joined IEH in 2018, following a 17-year career at the University of Washington as a Research Associate Professor in the Department of Civil and Environmental Engineering. Through her diverse background as a microbiologist, she has extensive experience identifying and analyzing symbiotic bacteria living in larger organisms, their growth and activities through molecular methods, culture and microscopy techniques. Dr. Davidson has taught medical and environmental microbiology courses, as well as technical writing courses for microbiology and environmental engineering students. 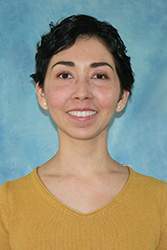 Dr. Arias has worked as a research associate at IEH since 2017. She received her Ph.D. in Food Science and Technology focused in Food Safety at Texas A&M University, her Masters in Food Science and Technology from the University Autonomous of Queretaro, and her Bachelors in Biochemical Engineering from the Regional Technological Institute of Colima. 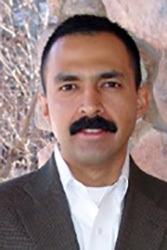 After joining IEH, Dr. Arias became the technical area lead in the department of Reference Materials. She has been involved in validation experiments for our IEH-media formulation as well as performing special client projects. For special projects, Dr. Arias writes research proposals, performs experiments, analyzes data and submits reports to clients. Dr. Dilip Chandarana joined IEH in 2005. Dr. Chandarana earned his Ph.D. and M.S. in Food Engineering from the University of Maryland, and a Bachelor of Technology in Agricultural Engineering from the Indian Institute of Technology. He specializes in food engineering, heat transfer, thermal and aseptic processing, aseptic packaging, regulatory compliance, and microbial spoilage diagnosis. At the National Food Protection Agency (NFPA), Dr. Chandarana developed research programs in the area of aseptic processing and packaging of foods containing particles and was instrumental in developing the first successful process filing for such foods. He was the NFPA's leader for high temperature rheology research where he developed the NFPA's New Technologies research program. Chandarana also has extensive experience in testing a variety of aseptic processing and packaging systems, process designs, deviation handling, and spoilage investigations and diagnosis. Finally, Chandarana taught several better process controls schools, thermal processing and deviation workshops and aseptic processing and packaging workshops while at NFPA. Mark Deniston has worked with IEH since 2005. He earned his M.S. in Food Engineering from UC Davis and his B.S. from Cal Poly. He has published papers on heat transfers to food in steam/air systems and hyperfiltration technology for protein recovery. Deniston has taught numerous FDA Advanced Low Acid Canned Foods Workshops, NFPA and IEH Thermal Processing and Process Deviation Workshops, and Better Process Control Schools. Before working at IEH, Deniston worked at the National Food Protection Agency for 19 years in thermal processing and environmental engineering. Deniston is also currently continuing a 32-year part-time position at UC Davis. 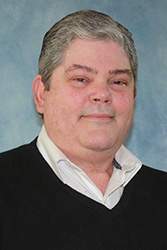 He teaches thermal and aseptic processing workshops, and performs automated control system validations and 21 CFR Part 11 electronic record keeping validations. Merle Jacobs is the Vice President of Agricultural Products at IEH. He earned his B.S. in Business Administration from California State University, Stanislaus. Mr. Jacobs has over 40 years of experience in agriculture including food safety, quality control, operations, regulatory compliance, research, sales, service, and industry relations. Prior to joining IEH, Mr. Jacobs consulted on food safety in the nut industry and held the position of President and CEO of the American Council for Food Safety and the Specialty Crop Trade Council. Mr. Jacobs was with the Almond Board of California for 20 years. His responsibilities included food safety research and education, developing industry wide food safety programs, industry relations and ensuring marketing order compliance. 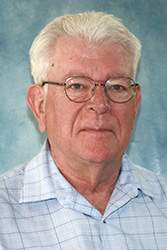 He was instrumental in developing and implementing the voluntary aflatoxin testing and mandatory pasteurization programs for the almond industry. Dr. Samuel Myoda joined IEH in 2007. He earned his Ph.D. in Civil & Environmental Engineering and his B.S. in Environmental Science/Biology from the University of Delaware. Dr. Myoda is well-versed in federal and state laws, regulations, and policies. He is a leading expert in microbial source tracking and water quality. Prior to joining IEH, Dr. Myoda worked at the State of Delaware, Department of Natural Resources and Environmental Control, Division of Water Resources. 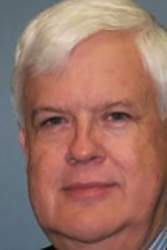 There, he directed the Molecular Biology Laboratory, research, method development, computer modeling for water quality and hydrodynamics, risk assessments, water and wastewater treatment, environmental monitoring, and regulatory and compliance issues. Dr. Myoda has served as a consulting and testifying expert in various legal cases, including the 2006 spinach E. coli O157 outbreak and Tyson et al. vs. Oklahoma in 2007. Dr. Myoda is the 2008 recipient of the Wesley W. Horner Award presented by the Environmental and Water Resources Institute of the American Society of Civil Engineers (ASCE) and is also an active member of the American Society of Microbiology (ASM). 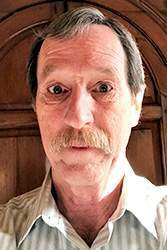 In addition to his expertise in environmental fields, he also has a great deal of experience in food safety, disinfection, process controls, program management, computer programming and design. Dr. Robert Miksch is one of the most senior members at IEH, starting with the company in 2001. Dr. Miksch received his Ph.D. in Chemistry from the University of Washington and his B.S. in Chemistry from the University of California, Berkeley. He has authored, audited, validated and verified HACCP plans, and assisted clients in responding to regulatory notifications. These include: Noncompliance Records, Notices of Intended Enforcement (NOIE) actions, and Notices of Suspension (NOS). Dr. Miksch also designed and implemented microbial intervention validation studies. Prior to joining IEH, he practiced as a Certified Industrial Hygienist, with more than 20 years of experience in a broad range of private, government, and academic environments. He founded and ran a successful practice covering chemical and biological hazards in a wide range of settings. A key practice area was authoring pragmatic enterprise scale OSHA Process Safety Management/EPA Risk Management plans for food processor ammonia refrigeration systems.